The Animation Building: One of our favorite places to Visit on a Hot Summer Day! I wrote this post a few years ago, but it still holds up very well! I thought I would share as the weather warms up, and the crowds get larger at our favorite theme parks. We visit the parks often and have had learned to have a great time without riding anything or even catching a show. Want to know how? This is what we do when the park gets a little busy and the kids just want to play and burn some energy. The Disney Animation building located in the Hollywood Back Lot, is home to a few interactive exhibits. Head over to DCA’s Hollywood Backlot and try your drawing skills inside The Disney Animation building. 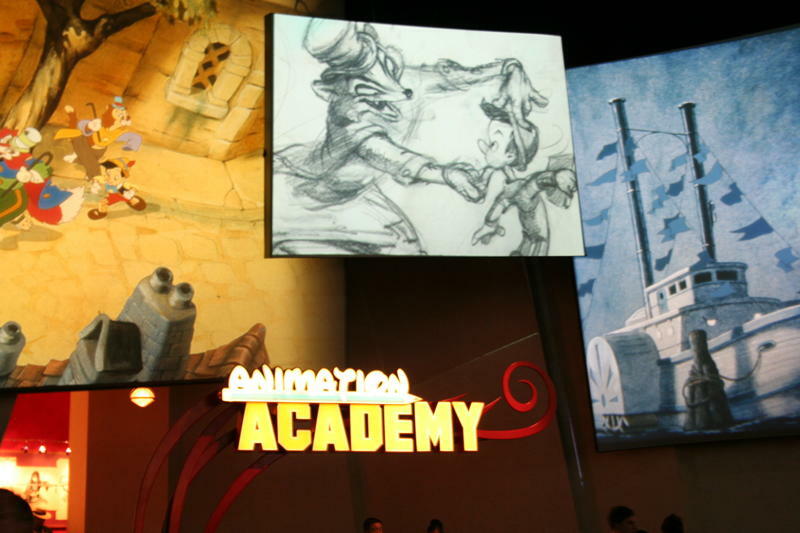 The Disney Animation Academy provides you with drawing pencils and pads. You are then taught by Disney animators a series of simple steps that enable you to create your own character drawings. You can take your drawings home or better yet- ask nicely and usually the Disney Animator will be more than willing to give you their fresh character sketch. You can also check out the Sorcerer’s Workshop which has three interactive play areas. Find out your inner Disney character or voice one of your favorite Disney characters. Honestly, you can spend quite a few hours here. The Redwood Creek Challenge Trail found is located in the Golden State section of DCA across from Grizzly River Run. This recreation area allows the kiddos to run wild, have a great time and enjoy being able to romp around. This area allows your kiddos to walk and swing on rope bridges, climb, slide down tires and walk one of the many pathways. My kiddos love sliding down the slide and exploring the entire area. Be prepared for some tired kiddos! It is the perfect place to release some energy! Princess Dot Puddle Park is the perfect place to head on a hot day. Pack a bathing suit, towel and an extra set of clothes and head over for this splash area located inside of a “bug’s land”. Prepare yourself for a soaking good time! We try to hit this area often in the summer. Let the kiddos run through mists, sprinklers and water fountains. Sit on a popsicle stick chair and enjoy watching your little ones have a great time. In the summer sometimes this is the only thing the kiddos want to do. Goofy’s playhouse is located inside of Toontown and is the perfect place for toddlers and preschoolers to release some of that boundless energy. This interactive playhouse allows the kiddos to be hands on and explore Goofy’s home. My kiddos love playing outside and the inside is just as fun. Let the kids climb all over furniture or head outside to climb around and slip and slide. Donald’s Boat is also located inside of Toontown and allows the kiddos run around and explore the inside and outside of boat. Walk around and let the kiddos ring bells, stir the boat and help trigger the water spouts on deck. Sure to be loads of fun especially for the tiny ones. The third play area inside of Toontown is the perfect place to allow your itty bitty to walk around and explore the surroundings. Climb to the top of the tree and enjoy a great view! I have to admit that my kids have been a bit too young for exploring here. However I think they are now the perfect age to head out and spend an afternoon climbing and exploring Tom Sawyer’s Island. Older kiddos will love walking across rope bridges, climbing and digging to find a treasure. It is the perfect place to head out with the family and discover one of the many trails! Did you know you can walk through Sleeping Beauty’s Castle? Yes you can and the best part is that it is completely air conditioned. Perfect activity on a hot day! Three dimensional displays tell the story of Sleeping Beauty. My kiddos absolutely love walking through the castle. It’s a fun little adventure! Located in Tomorrowland and is the perfect place to spend an hour or two on a hot day. Walk inside and explore hands on the different technology featured in the exhibits. Explore the Dream Home or play in one of the five interactive play areas. It’s a great place to learn and discover for the entire family! New for April 2013 is the Iron Man exhibit. See all the Iron Man suits up close. You can also suit up virtually in one! Go out and try out one of these places. I promise you will not be disappointed! This entry was posted in Uncategorized and tagged Disney California Adventure Sunday, Disney Sunday, Disneyland Summer. Disney Sunday: Disneyland and Disney California Adventure Open 24 hours on May 24th! It’s been a great weekend. The weather was perfect, and there were so many fun events taking place. I hope you had a great time, enjoying the weekend with your families. I think if you read this blog on a semi-regular basis, that you know my family loves Disneyland. 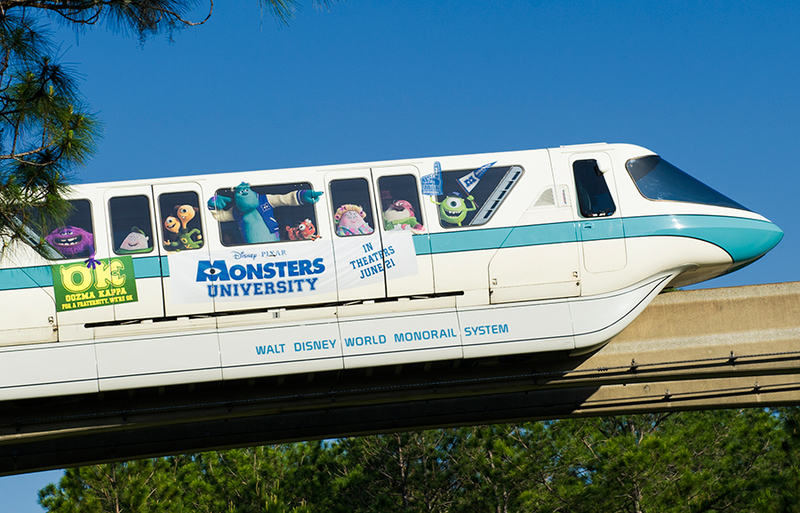 We have been annual passholders for many years, and love to make it out, whenever we have the opportunity. If you are a fan of the Disneyland Resort, you want to mark your calendar for May 24th. It looks like it’s going to be a blast and I’m saving the date and plan on taking the family! I think my kiddos will be all over the pajama party! This entry was posted in Uncategorized and tagged DCA, Disney California Adventure 24 hours, Disneyland, Disneyland 24 hours, Disneyland Open 24 hours, Disneyland Resort. I’m a car junkie. Nothing beats the smell of a new car, or taking it out a new car on the road for the very first time. I’m not kidding when I say that it’s one of my favorite things in the world to do. I love sleek vehicles, add dependability to a good looking vehicle, and I fall deeply in love. We are a Nissan Family. Last year I traded my gas guzzler, for a Nissan Rogue, and have never looked back. I’m having car envy again, and this time it’s because of the all new and redesigned Nissan Sentra. The new Sentra, not only looks good, it has everything you need, to make you insanely happy. 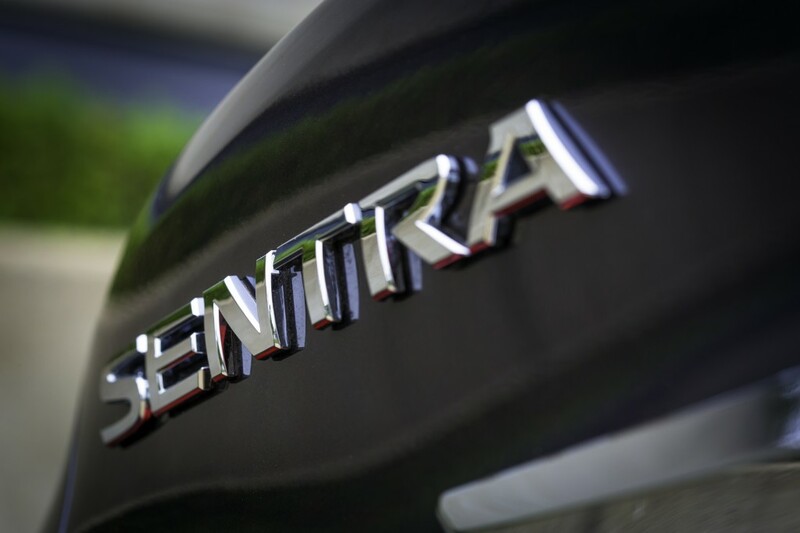 Not only does the Sentra have amazing fuel efficiency , but it feels a step above, in comparison to other vehicles in its class, and here’s why. To learn more about the stylish and good looking Nissan Sentra, and learn more about the Nissan SENTRA Facebook promotion. We will be sharing more about this promotion in an upcoming post. You don’t want to miss it! 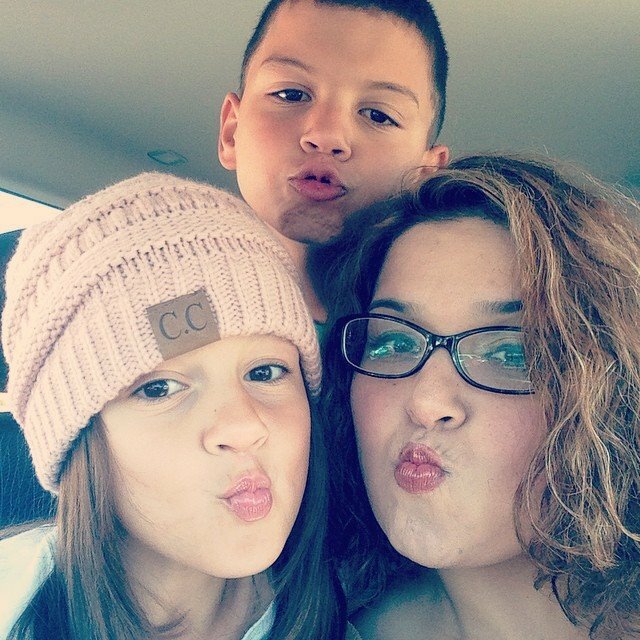 This is part of a sponsored campaign with Latina Mom Bloggers and Nissan. However, all opinions expressed are my own. This entry was posted in Uncategorized and tagged #DescubreSentra, #Spon.